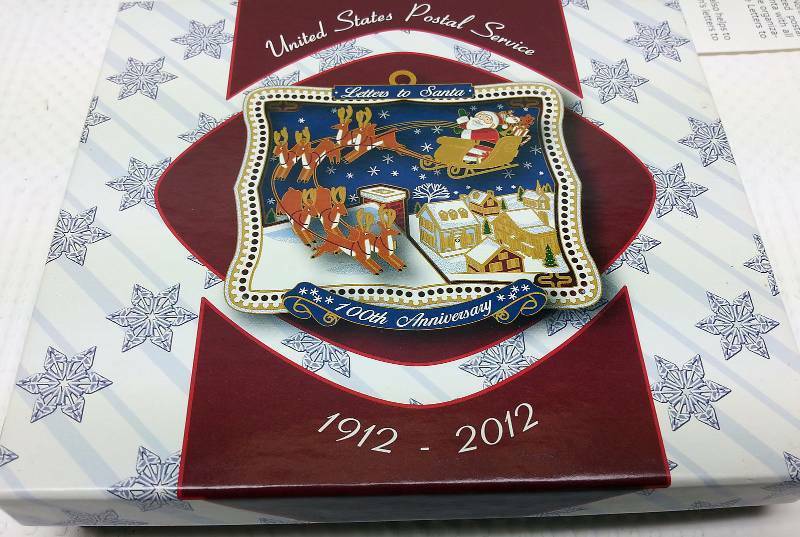 This Letters to Santa 2012 3 dimensional metal Holiday Ornament was sold at the Post Office for $14.99. 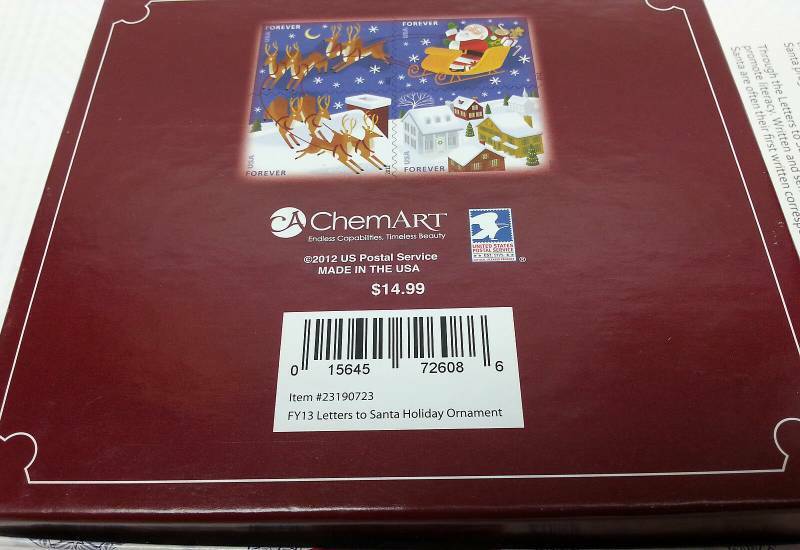 Save some substantial dollars here with your bid. 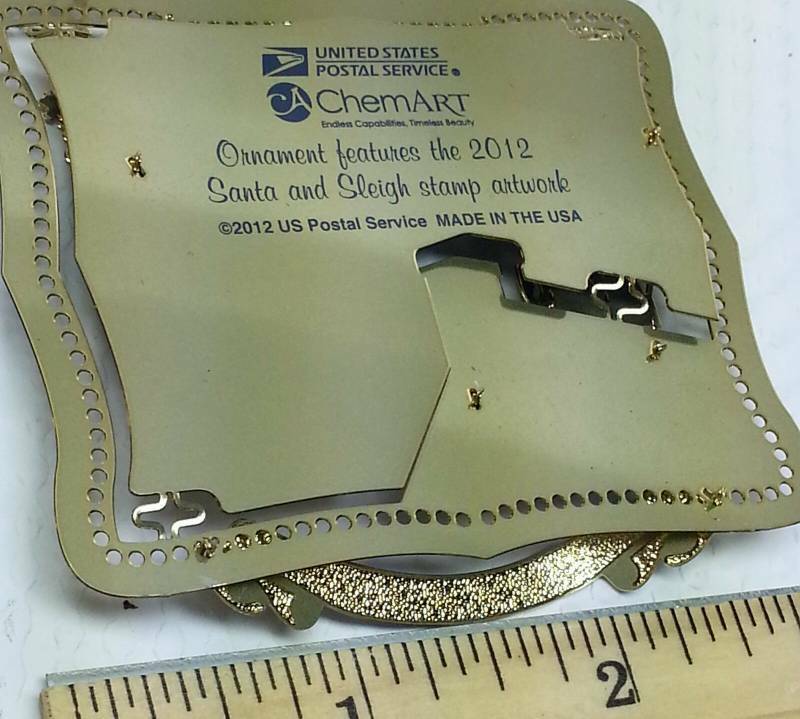 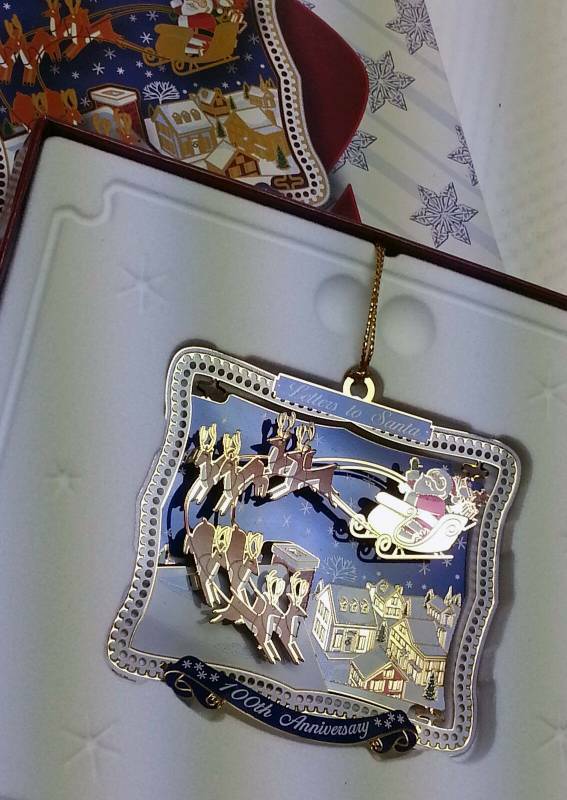 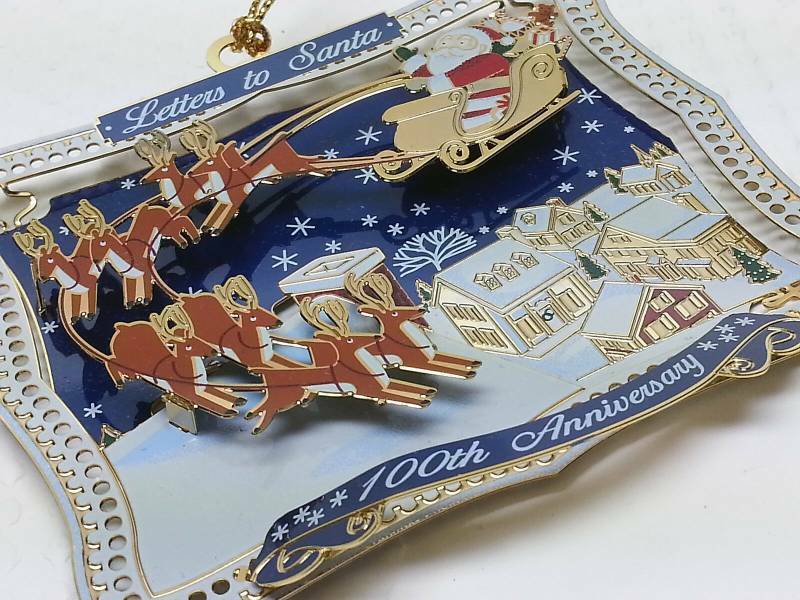 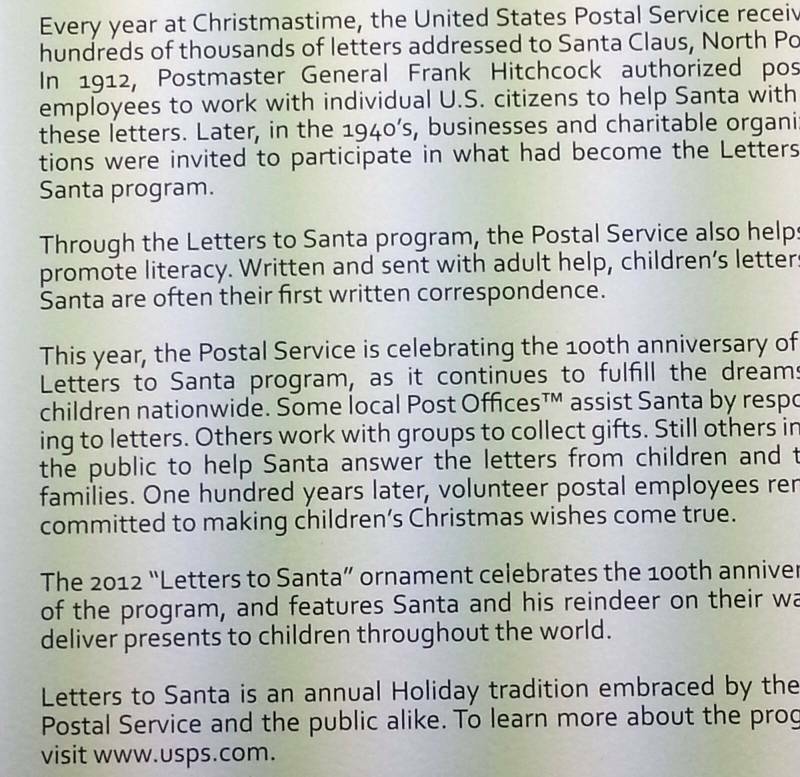 This metal ornament features the 2012 Santa and Sleigh Forever stamps and celebrates the 100th anniversary of the Postal Service Letters to Santa program. 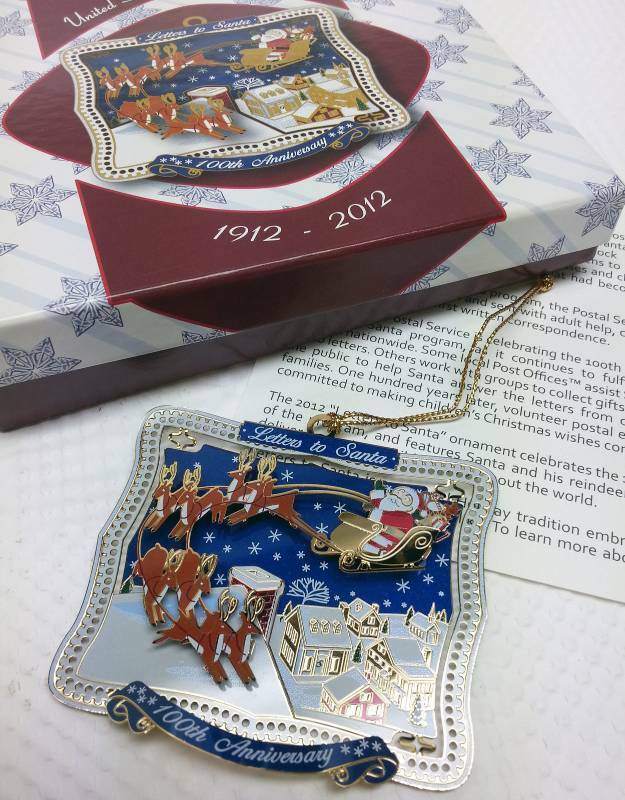 It’s the perfect addition to any tree or collection.